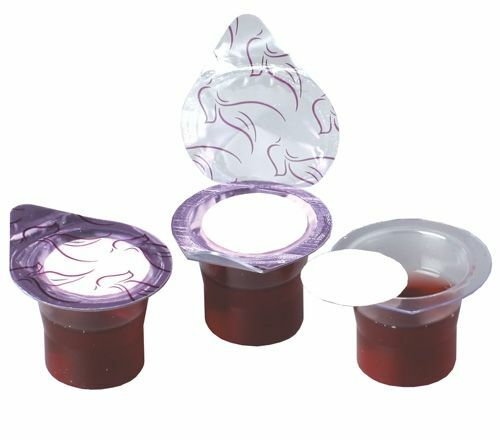 Kingdom Pre-filled Communion cups have your grape juice and wafer sealed into a convenient, single-serving container. Choose between our Red and White Juice! Lengthy prep time and cleanup are eliminated! You can distribute these pre-filled Communion cups as people enter the service or use traditional Communion trays. Pre-filled Communion cups are not just for services! They are also perfect for hospital and shut-in visits, outdoor events, Summer camps, and more! One-year shelf life and great tasting grape juice! Kingdom’s new pre-filled Communion cups deliver a lot of the features our customers have been requesting! One-year shelf life means you have even more time to use these Communion cups. Kingdom conducted a taste test of several different grape juices with our management team. In a 15 to 1 vote the juice in these new pre-filled cups was voted the best tasting! 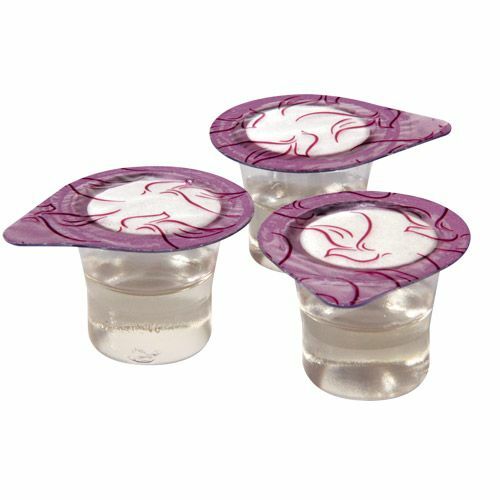 Try these new pre-filled Communion cups today! The white grape juice is made from concentrate with water, plus potassium and sodium benzoate added as preservatives. Communion Cup with Wafer - Sealed separately, in one container!